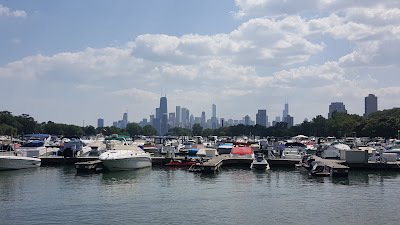 I met my guy Spencer with Park West Media at Diversey Harbor to take new drone footage. I use marketing that makes sense for each of our client properties. 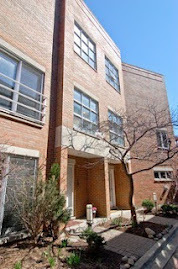 Our latest East Lakeview listing at 330 West Diversey is near the harbor and lakefront parks. 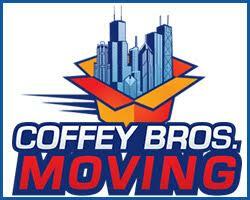 I'm excited to see the footage of the harbor, Diversey Golf Range, tennis courts and running paths! 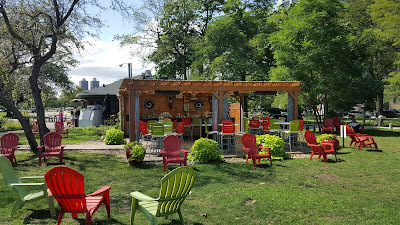 Bacinos has an awesome outdoor bar at Diversey Harbor. 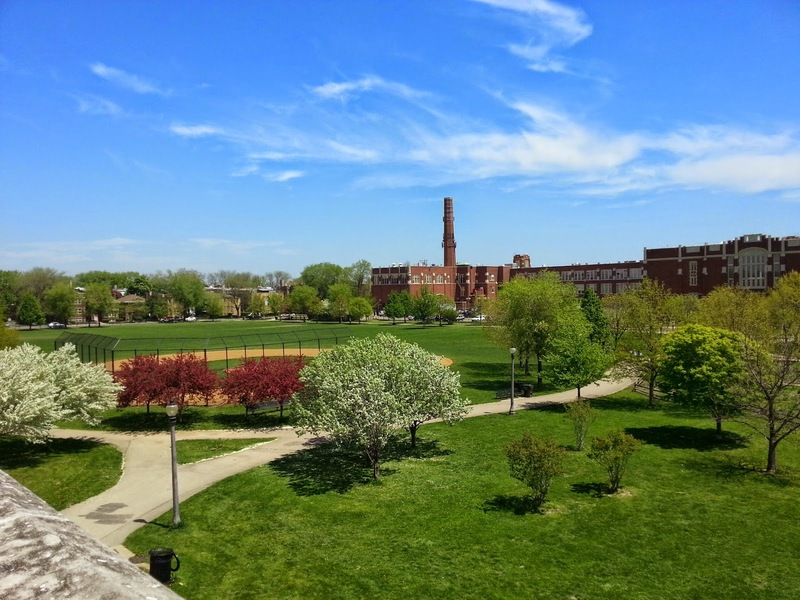 330 West Diversey is surrounded by parks, statues and amenities. We'll be listing a recently updated condo at Mies Van Der Rohe's 330 West Diversey after the Labor Day weekend. 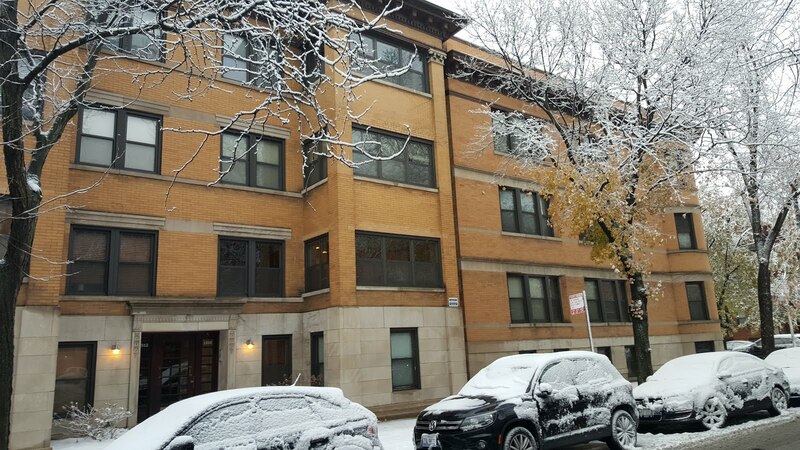 Commonwealth Plaza borders the East Lakeview and Lincoln Park neighborhoods and is a fantastic place to live. Steps from Diversey Harbor, golf, tennis, lakefront parks, trails and fantastic dining. The building itself has doorman service, dry cleaner, fitness room, pool and convenience store with good food, wine and beer options. Really large living room and dining space with lake views. 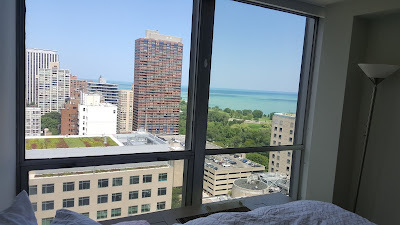 Wake up to bright and spacious bedrooms with lake views. 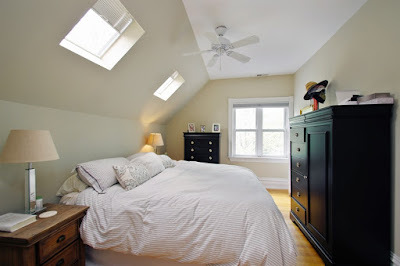 Master bedroom with lakefront views and walk-in closet. 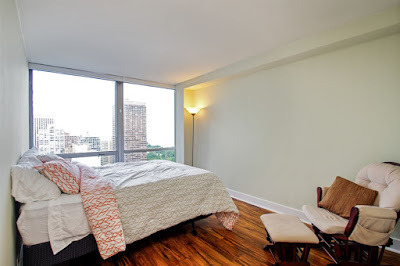 Second bedroom with large closet. The unit is freshly painted with new modern baseboards for a terrific clean look. 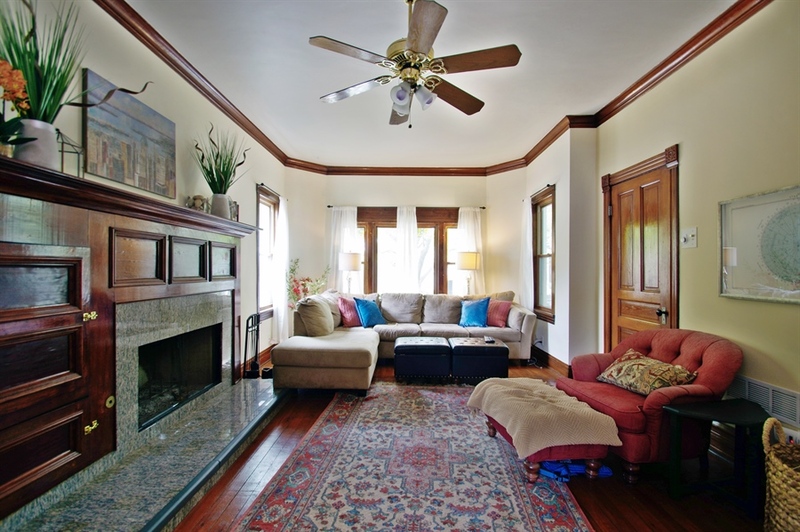 Assessment includes water, insurance, cable, Internet, heat and A/C! 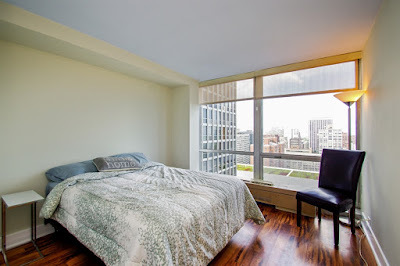 Parking garage on site with spots around $200 / month. 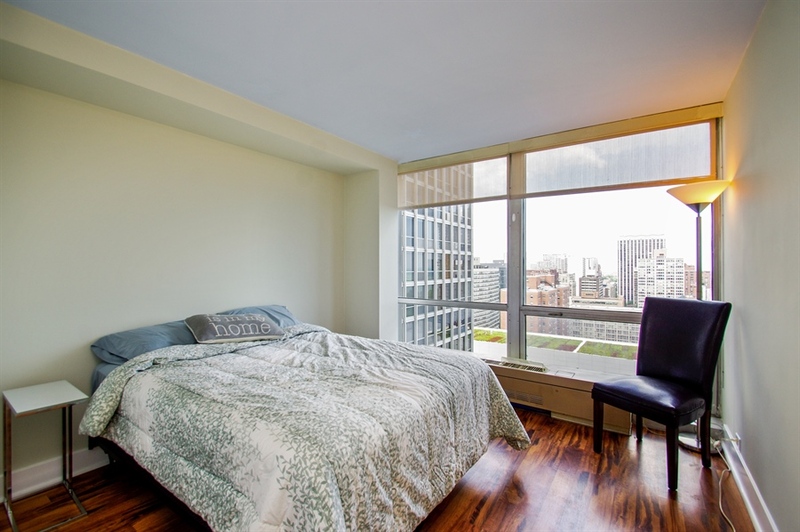 Building owners may rent out the units. 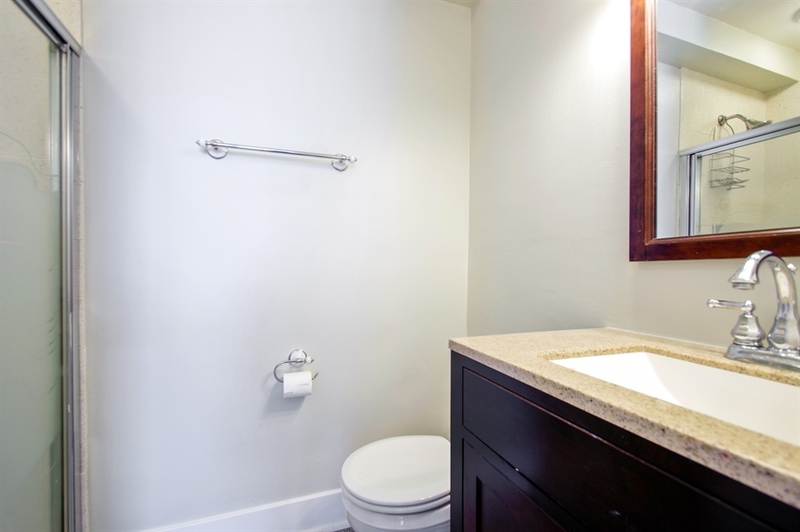 Storage space included, bike storage available for $75.00 / month. The kitchen has been opened up to the living space for optimal entertaining. 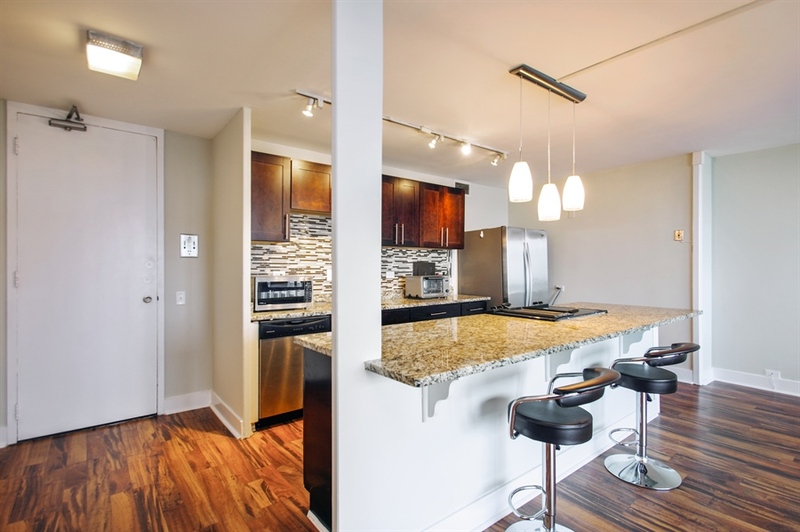 Living at 330 West Diversey is all about lifestyle. 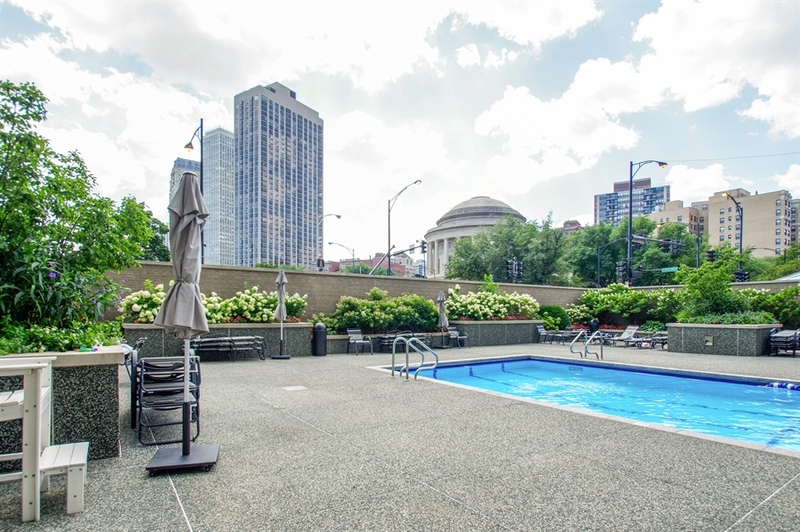 Enjoy endless leisure and fitness activities steps from the famous Chicago lakefront. 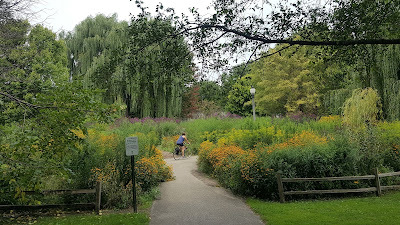 It is a really beautiful area filled with parks, restaurants, bars and every day services to make life easy. Endless opportunities for recreation in the park filled lakefront at your doorsteps! We are honored to work with this family for the second time on another milestone! 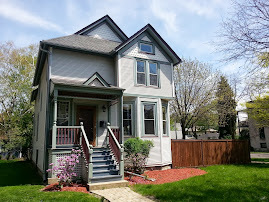 These awesome clients closed their first single family home last week in Evanston. 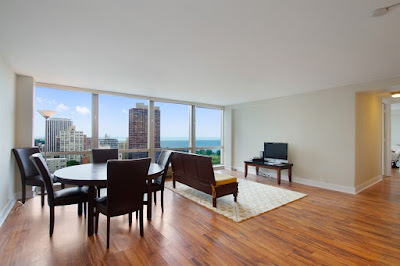 We first met them three years ago when we listed and sold their Edgewater condo. 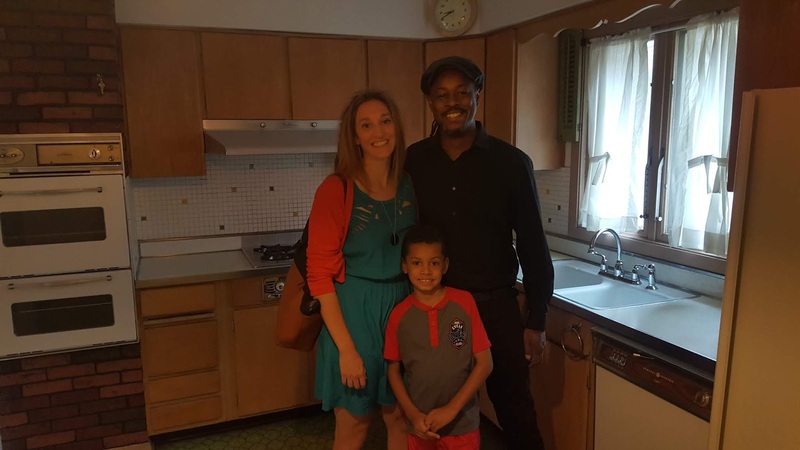 After renting they decided to buy in their immediate neighborhood. In fact, they almost bought their current rental house. 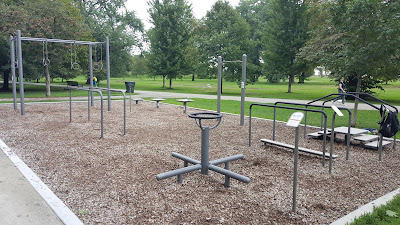 After due diligence they decided to look for a better fit. 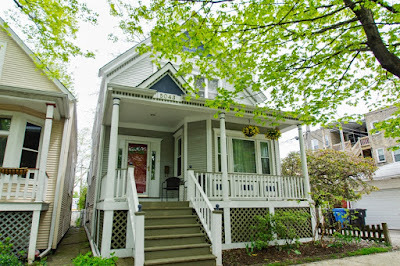 1703 Keeney St. Evanston, IL l60602 sold for $340,000. 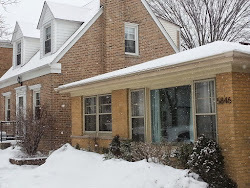 We were one of the first to view this four bedrooms, two baths home in southern Evanston. After viewing a good handful of homes and they knew instantly this was a solid house with lots of space! 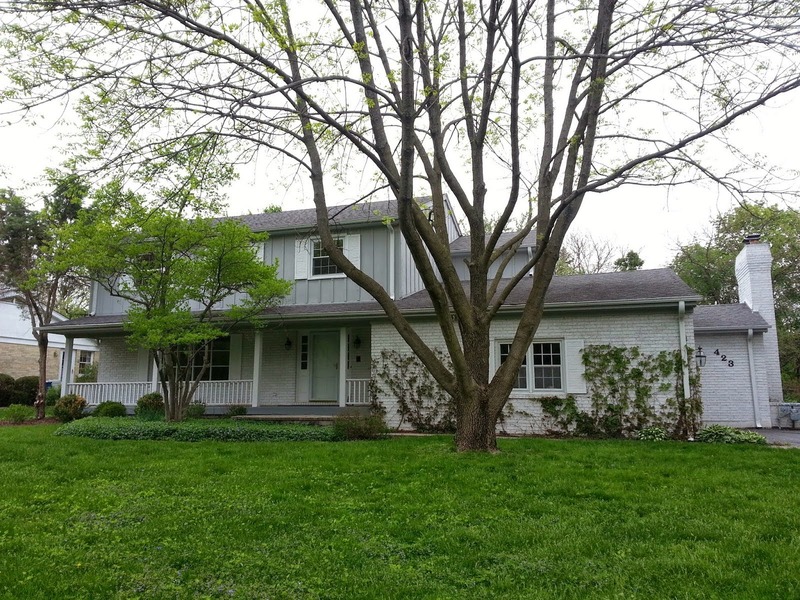 The large family room and huge dry crawl space make this house a lot bigger than it looks from the outside. 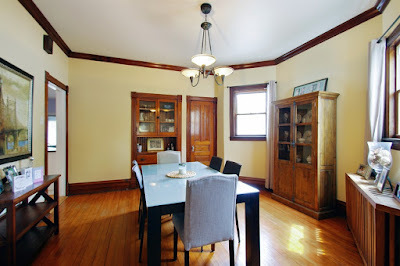 Many mechanical components and finish materials are old but the house is well cared for and updates may be made over time. It's always fun to find a bit of history in houses. 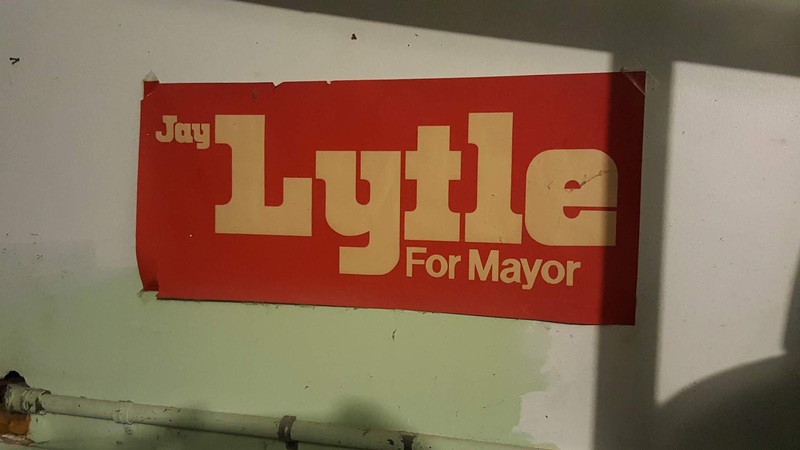 Mr. Lytle won the mayor's office twice! 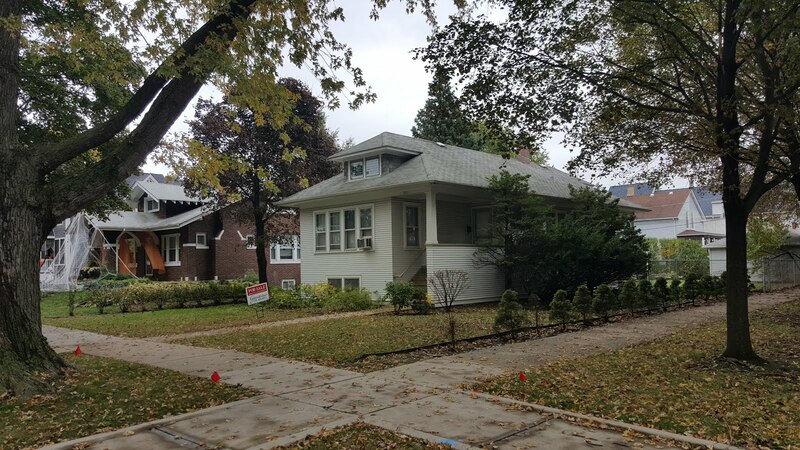 315 Evanston single family homes have closed so far in 2018. 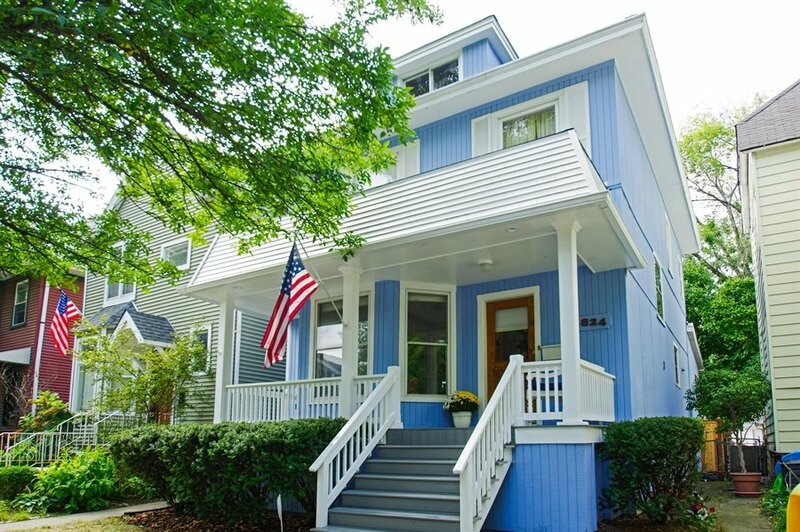 The median price for a house this year is about $560,000. 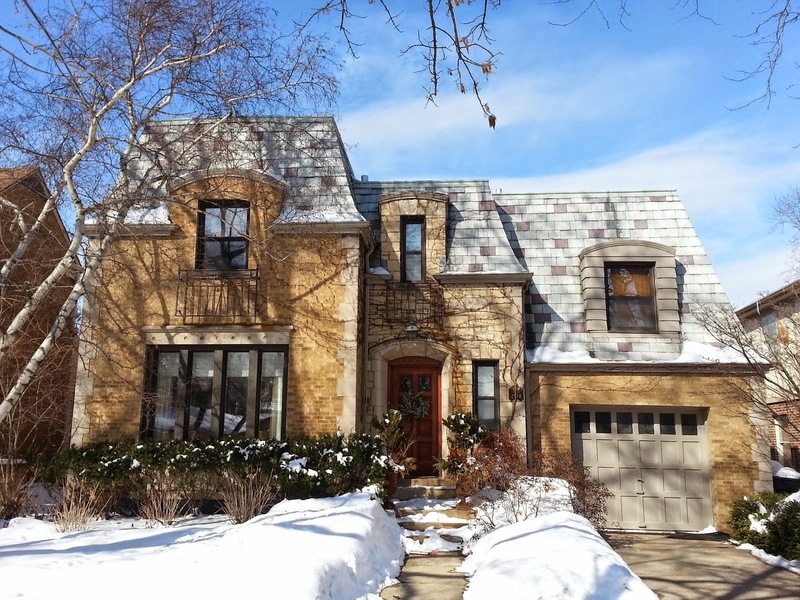 90 Kedzie Street is the highest sold home in Evanston thus far closing for $4,550,000 on the lakefront. 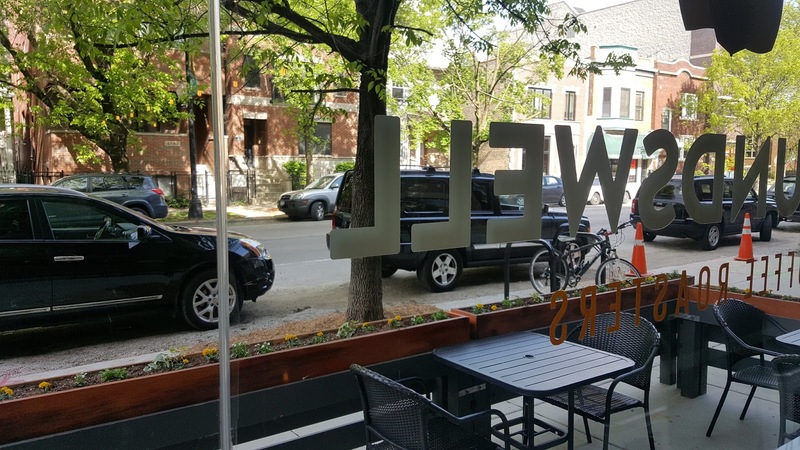 Parsons Chicken and Fish is for real coming to Halsted Street in Lincoln Park replacing a long time local business. 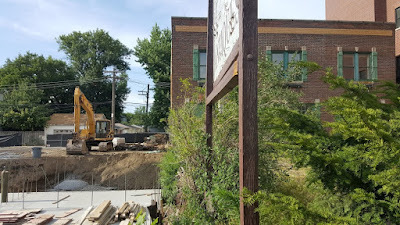 I noticed last week the Lemay Auto Parts property renovation has begun. A trustee deed for the property was recorded in early 2017 but no price found 😒. Construction permits were issued in June of this year. I've forever wondered when this site would finally get re-developed and I'm glad it will be a fun restaurant. This strip of North Halsted has had it's dive bar heyday and now is home to higher end condos mixed with a good spattering of eateries. 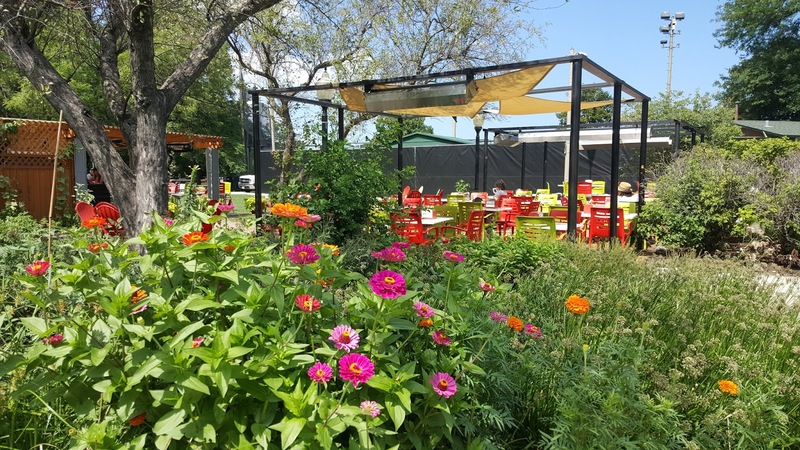 The Parson's vibe will kill it here steps from DePaul's campus and the former Children's Memorial mega-development. As mentioned many times in the past I spent many years on Halsted/Fullerton/ Diversey with my real estate offices on Diversey then Halsted. My wife worked at the old Children's campus for almost 14 years before the move to Streeterville. I look forward to hanging on the new patio (if I'm not too old)! 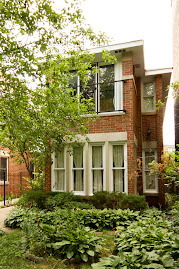 5043 N Oakley, Chicago IL 60625 asking $599,900. 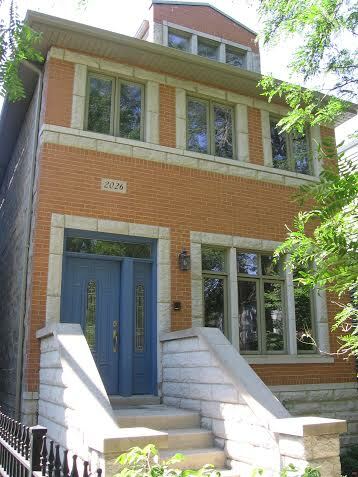 Three bedrooms up, office, sitting room and finished playroom on terrific 28'x125' lot. Living room with wood burning fireplace and lovely vintage detail. Inviting Lincoln Square home on 28' wide lot steps from Winnemac Park. 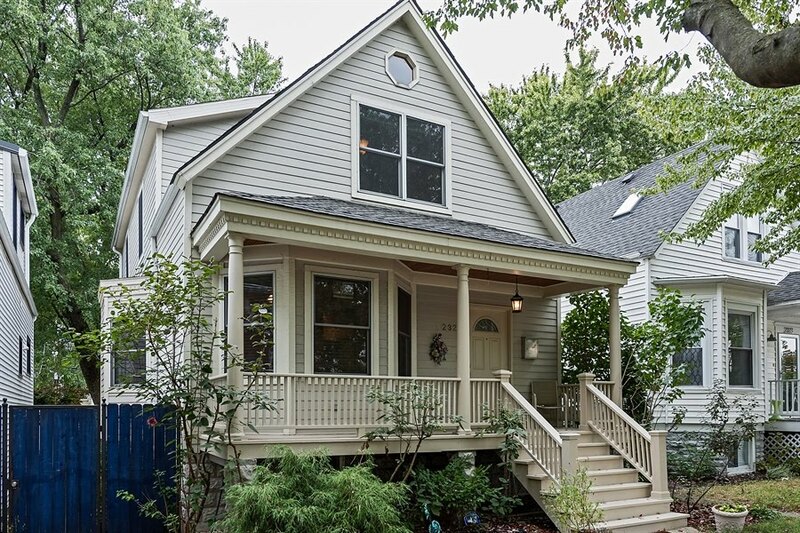 Classic front porch, formal entry foyer and vintage details welcome you to the great layout. 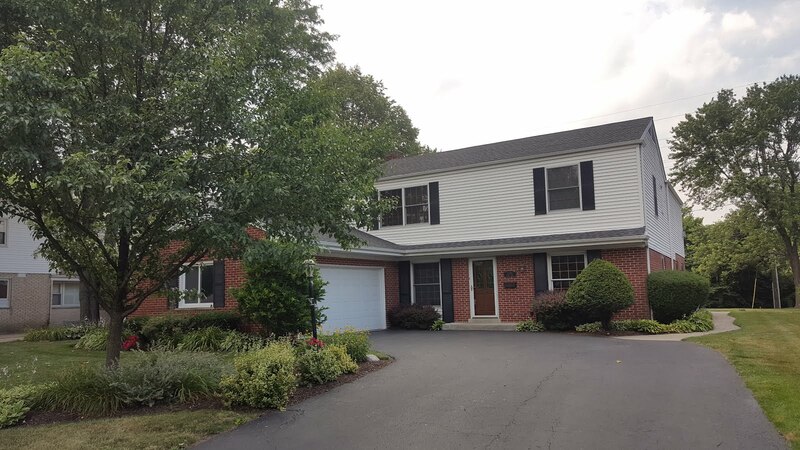 Large living room, wood burning fireplace, spacious dining room w/ built-in hutch, main floor true office. 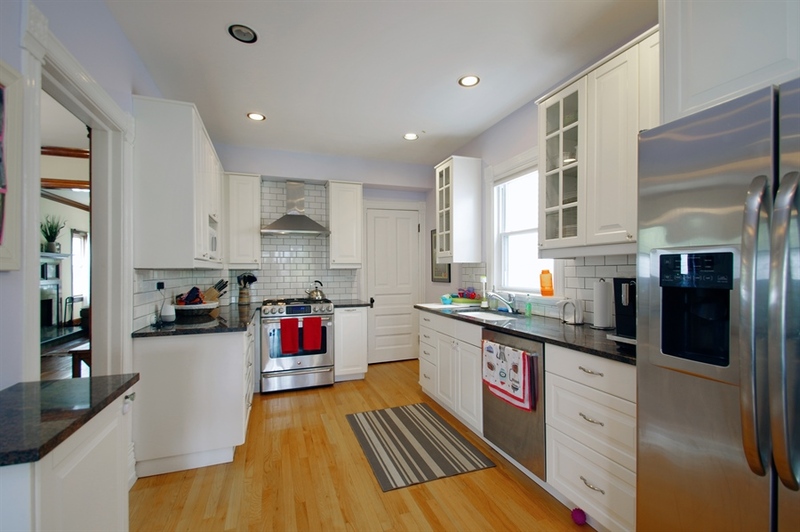 Renovated kitchen with great counter space. Spacious breakfast room leads out to enclosed sun room. 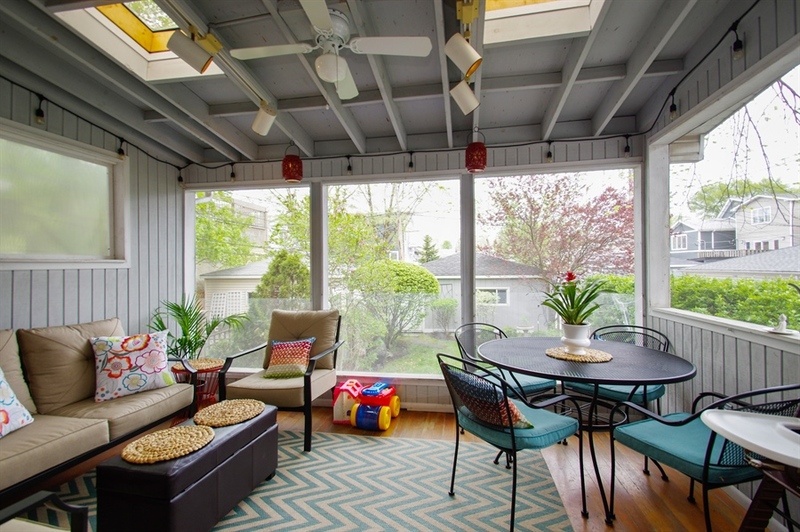 Enclosed sun room off-kitchen overlooks the backyard. 28' wide x 125' long lot allows for big backyard and 2.5 car garage! 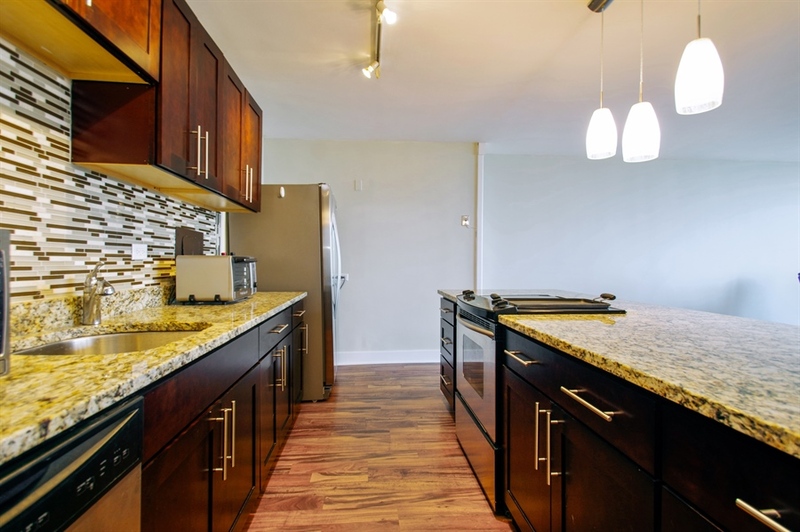 Renovated eat-in kitchen offers amazing entertaining space. 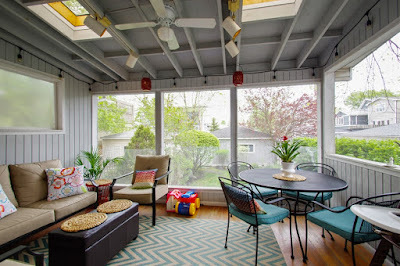 Kitchen leads to amazing enclosed sun room. 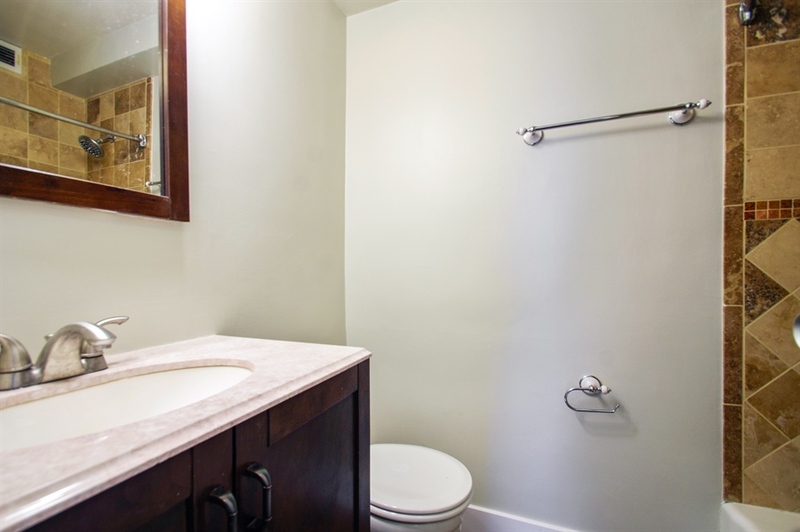 Main half-bath. Wow! 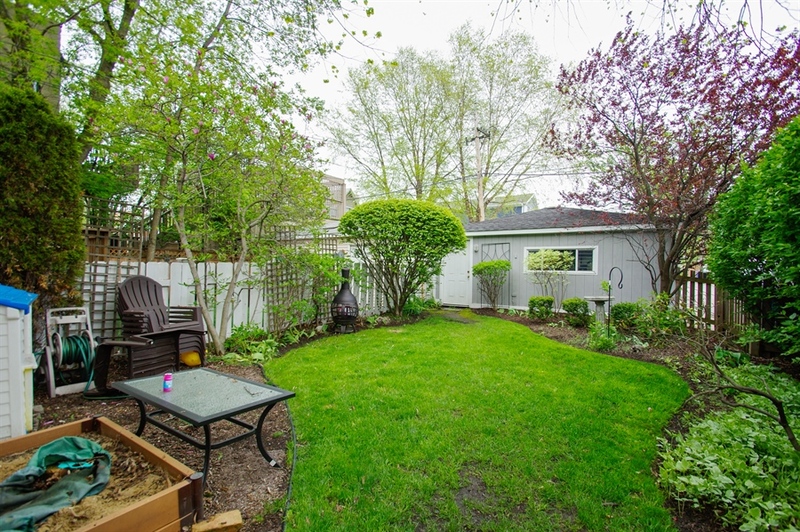 Check out that professionally landscaped backyard! Second floor w/ three bedrooms up + bright, open sitting room, large bathroom and walk-in closet. Partially finished basement with great playroom, washer/ dryer and two storage rooms. 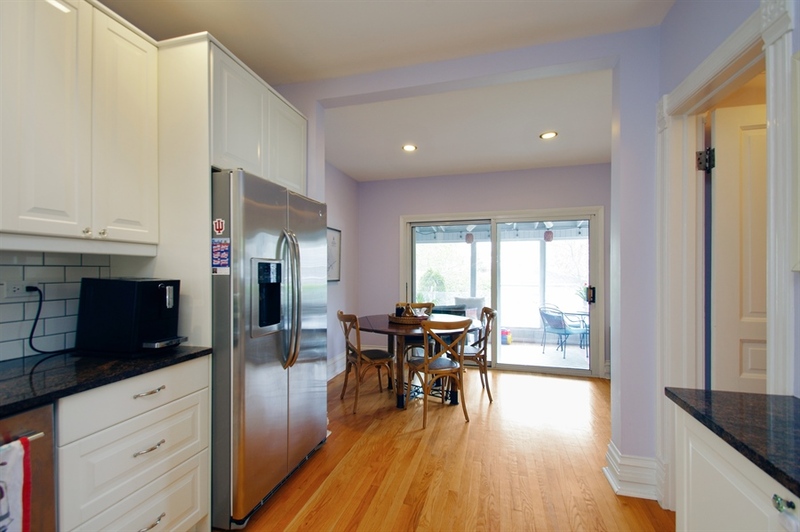 Boiler, furnace heating and CENTRAL AC! . New roof 2017! 2.5 car garage. Three bedrooms on the second level. 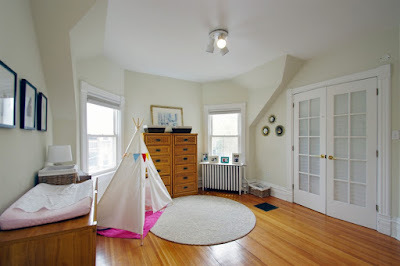 Second level sitting room is offers flexible space for yoga, play-space, small family room... whatever you need. Fantastic location close to Ravenswood Metra, Western Brown Line, Winnemac Park, Giddings Plaza and the retail / entertainment districts of Damen Ave and Lincoln Ave. Great block parties! 1+ Rated Chappell Elementary and 1+ Amundsen High School. This is the value you've been waiting for! 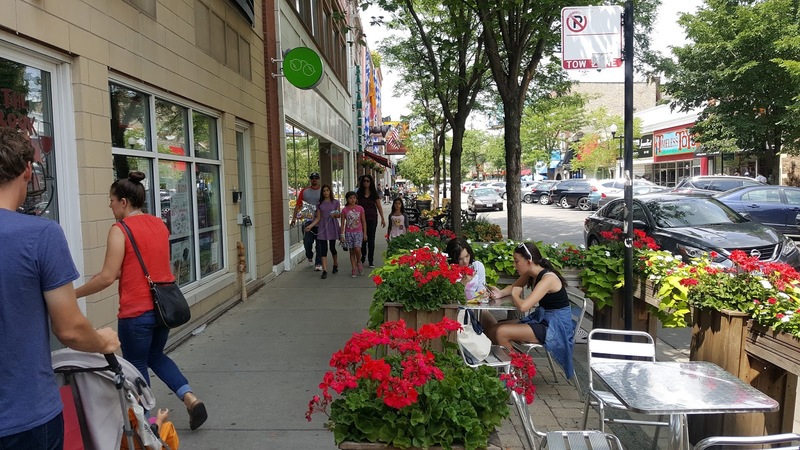 New retail and restaurants line Damen Avenue near Lawrence Ave. All photos Eric Rojas, Broker, Kale Realty. 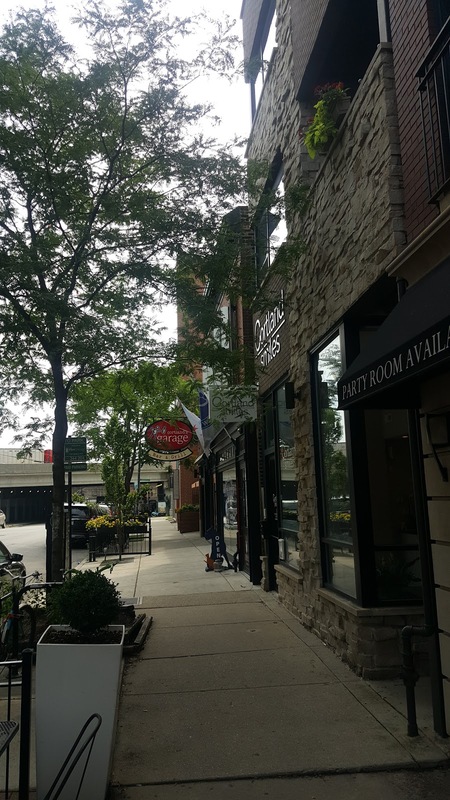 Giddings Plaza along the Lincoln Avenue commercial district offers the best in city living with a small town feel. activities and great transportation options! Griffins and Gargoyles Antiques at 2140 West Lawrence Avenue in Lincoln Square closed in 2016 after 41 yrs in business. View more photos. 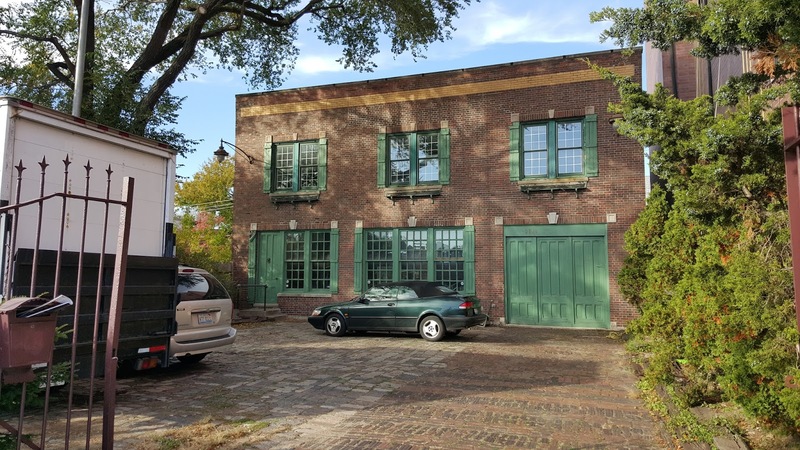 The attractive vintage property was purchased for $910,000 in 2017 by a local professional property management company. 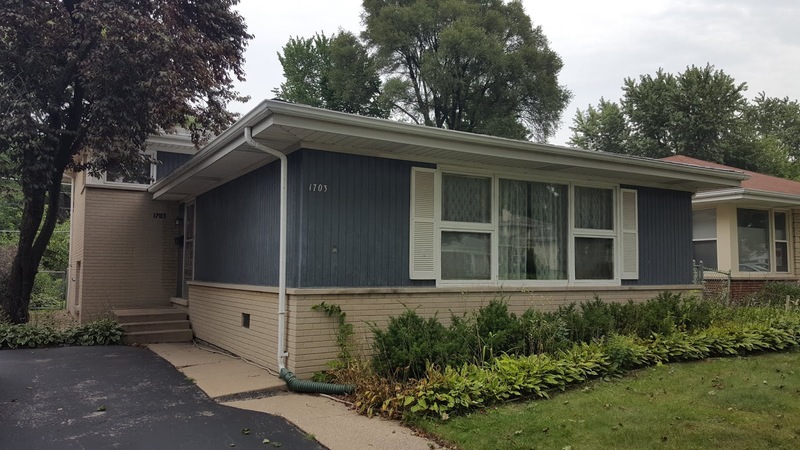 The lot measures approximately 50'x125' (a Chicago double lot) and is currently zoned B1-1. The property is currently vacant. 2140 W Lawrence is dwarfed by the newer construction mixed-use condo building to the east. A new building to the west will put the two story vintage building in a cavern. 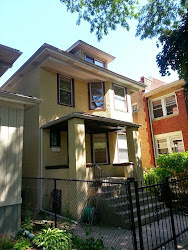 The property sits between the Surpless Dunn property development to the west and a newer construction six unit condo building with ground floor retail to the east. 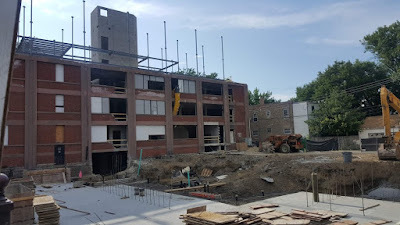 There are no building permits as of yet for 2140 W Lawrence. I don't know the plans for this wonderful brick warehouse style building set back from the street. However it will be smothered up by it's two over-sized neighbors thus minimizing its eye pleasing architectural impact on this strip of Lawrence. 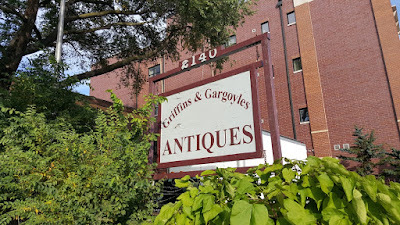 Photo of Griffins and Gargoyles in 2015 prior to the shops closing. 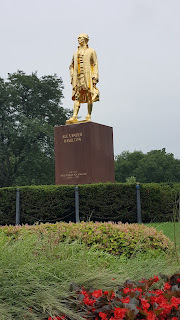 Unfortunately I don't have a photo with the flower boxes planted and in bloom. All photos Eric Rojas, Broker, Kale Realty. This is such a cool building. I weep for it's future. It is doubtful the building will remain in its current form for much longer. The development along Lawrence Avenue thus far has been a huge positive. 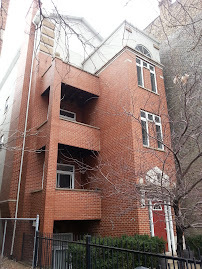 I love the increased density of residential units and the "tear down" structures thus far have not been of note. However the new construction product has been bland and unimaginative. It will be a shame to lose this building and courtyard. A large loft style new construction building is in development to the west. The Surpless Dunn development has picked up steam and probably marks the end of the Griffins and Gargoyles building. After serving Bucktown for 31 years the Riverside Cafe closed in 2015. 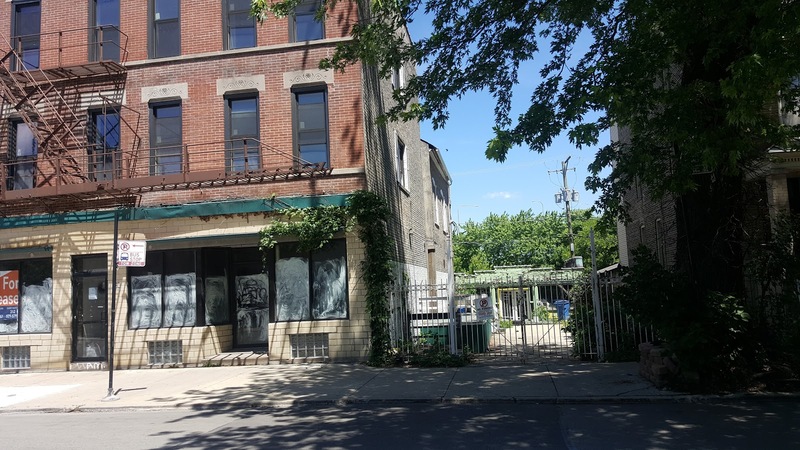 According to the story the property was sold to a restaurant developer for $2.5 million in July 2015. 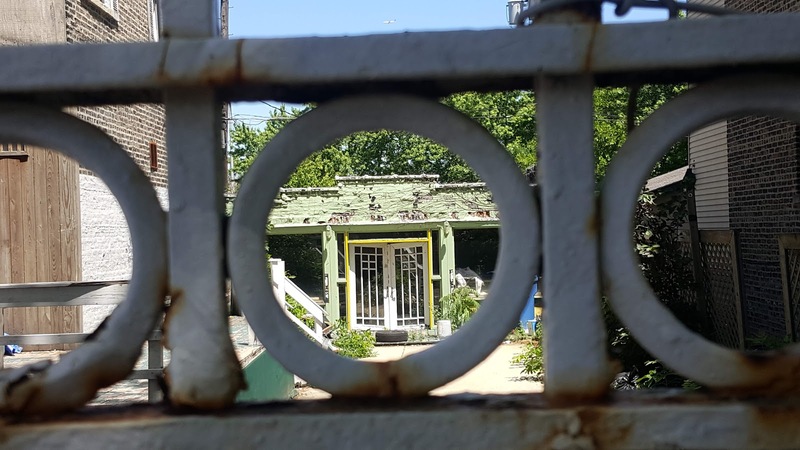 Cook County Recorder of Deeds records at 1654-1656 W Cortland are little more complex... showing several lien releases (mechanics, lis pendens, City Water Department) in 2015 and a couple transfers of the property recorded in 2016. A Trustees Deed was recorded for $1,750,000 to an LLC (a sales transaction) then a Quit Claim Deed to another LLC (transfer of property) and a mortgage recorded for $1,980,000 all on the same day of 2016. There is no recorded sale in 2015 from my viewing of public records. 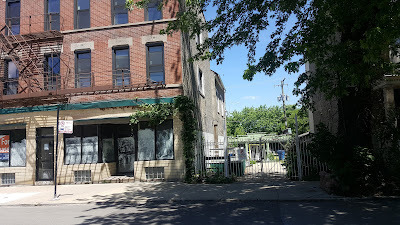 The vintage building was purchased by a restaurant developer to open a new restaurant and renovate the apartments back in 2015. The plan according to the DNAInfo report at the time was to open a new restaurant and renovate the apartments above. 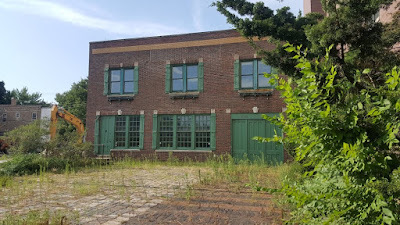 Rumor has it this unique vacant restaurant space has a future.... finally (whispers from another Broker selling property nearby). It's a nice property among several established bars, restaurants and services in unique little mixed use strip of Bucktown. Restaurants and bars on each side of the street. 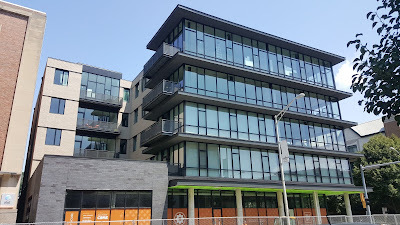 The District House development 147 Euclid in Oak Park taken on Friday. All photos Eric Rojas, Broker, Kale Realty. 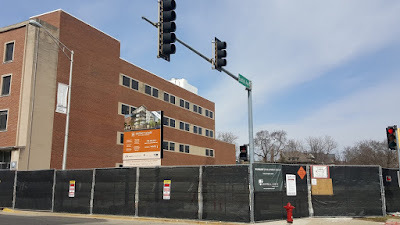 The "District House" development site in Oak Park last March 2017. 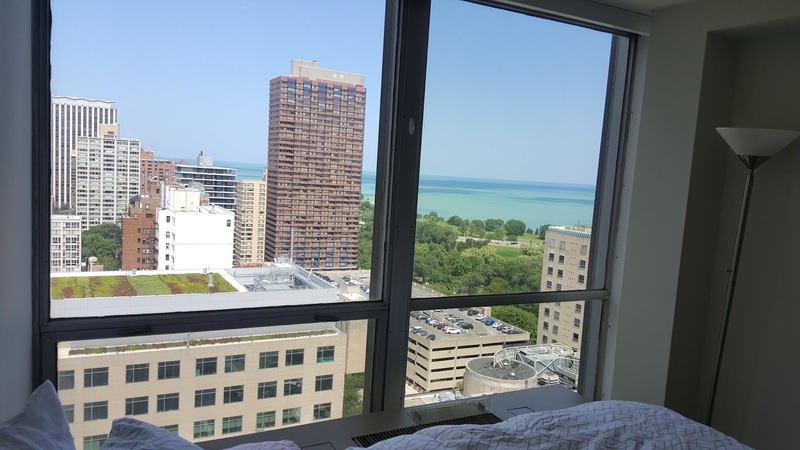 Chicago Cityscape has photos of the nearly completed units. 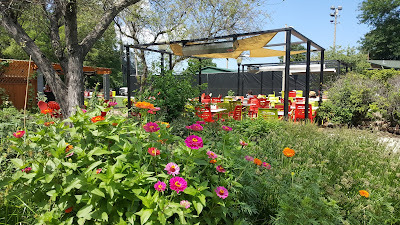 We wrote about District House in Oak Park last March. The development site was cleared at 700 West Lake Street... also known as the former Tasty Dog. The District House development goes by the address 147 Euclid N Euclid. 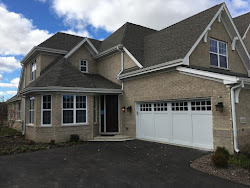 MREDLLC.com listings show units under contract from $599,900 to $899,900 and states only two units remain for sale. Chicago Cityscape (via Steven Vance) has pictures of the near completed development at the link. 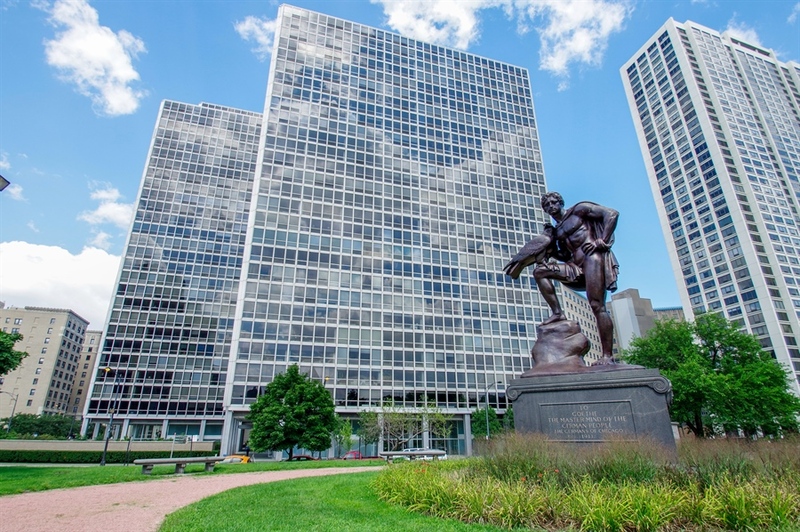 The well located smart looking building is brought to you by the experienced higher-end Chicago Ranquist Development Group. My grand opening party invite must have went to spam. 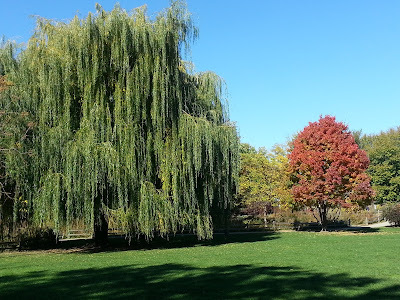 We often represent clients in Oak Park. Please contact us today if you are considering a move to the suburbs. We wrote in May that a Lincoln Park new construction Taco Bell was underway around the corner from a $3M penthouse. The fast food store has since been completed. 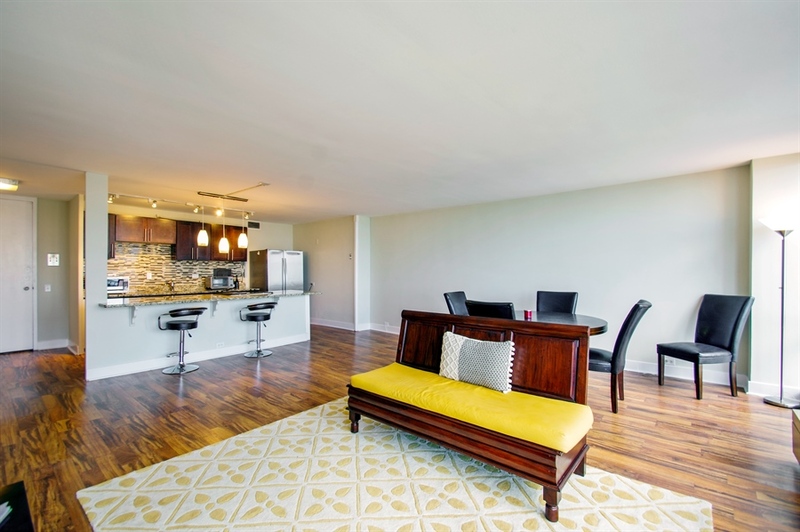 The median price of a closed condo unit withing about four blocks of the Taco Bell is $465,000. 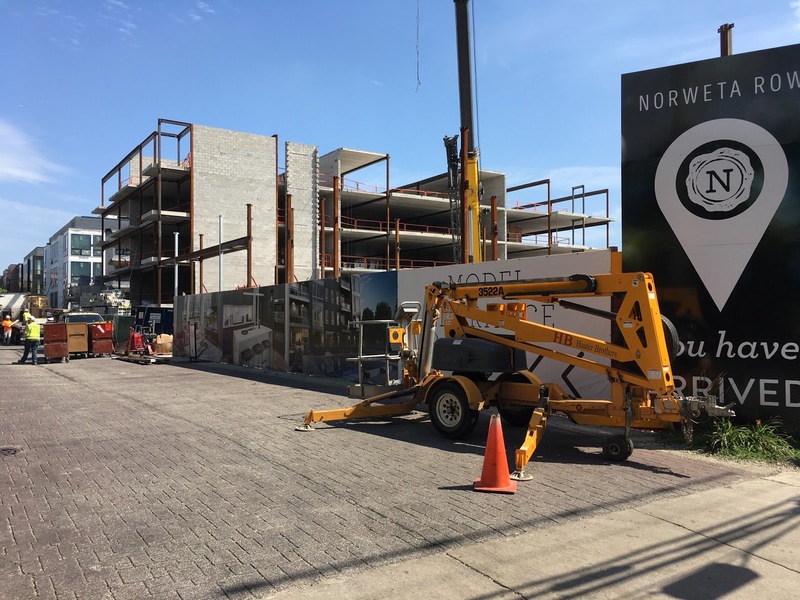 Photo of Norweta Row construction today. Norweta Row on the 2600 block of North Hermitage still is under construction. The most expensive unit is still available but UNIT PH3 is listed under contract asking $1,995,000. That's a lot of tacos.